Make sure the Thermostat is within 1m of VERA and put VERA into Inclusion mode. 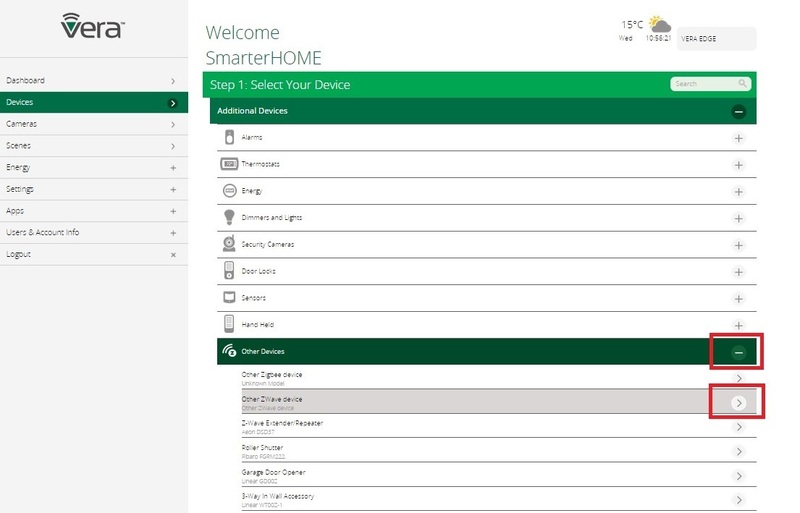 Choose Devices -> Add Devices. 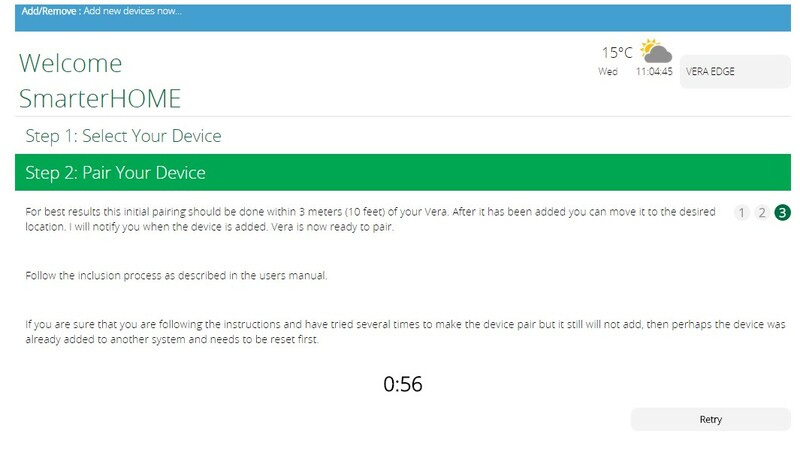 Click on Additional Devices – then click on Other Devices and choose Other Z-Wave Devices. 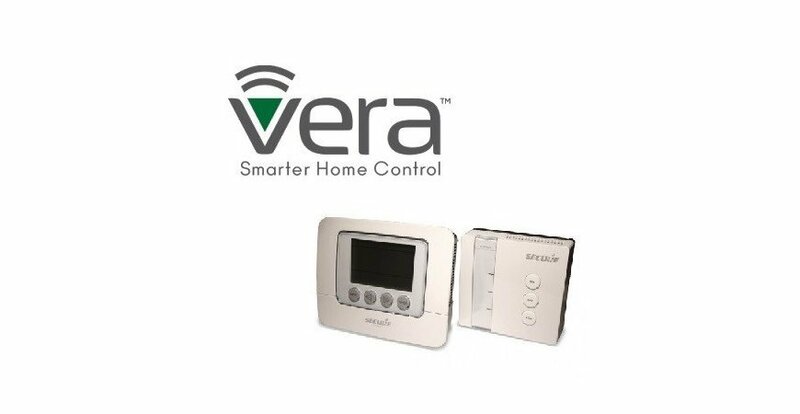 After this VERA includes device to Z-Wave network. Continue with images. 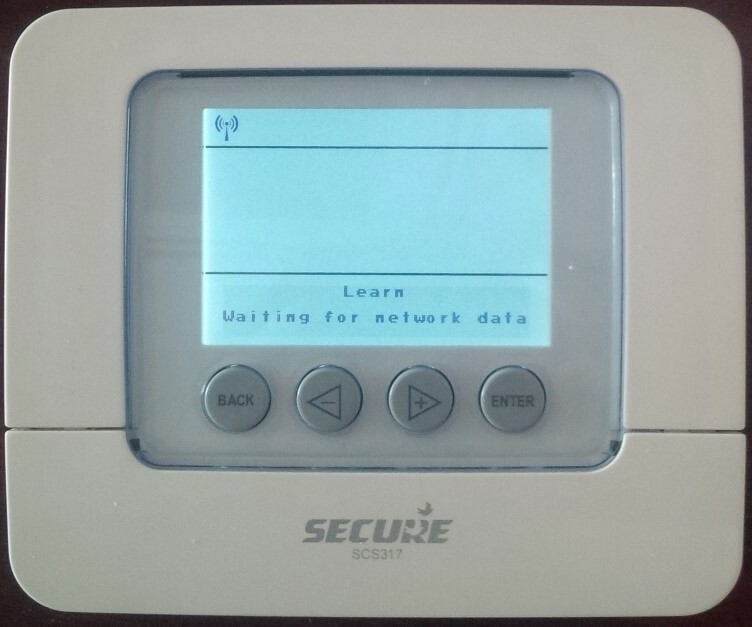 After this – Put the Thermostat into Learning Mode: In the SCS317's menu this is Setup > Set up Z-Wave > Learn'. Press the Thermostat's ENTER' button twice. Scroll through the menu by pressing the + arrow button until Setup appears in the display. Press ENTER. 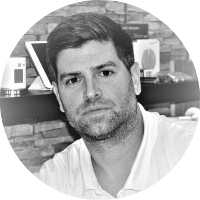 Scroll to Set Up Z-Wave and press ENTER. Scroll to Learn and ENTER. Now you should see message (Waiting for network data). After set up the termostat, continue with images. 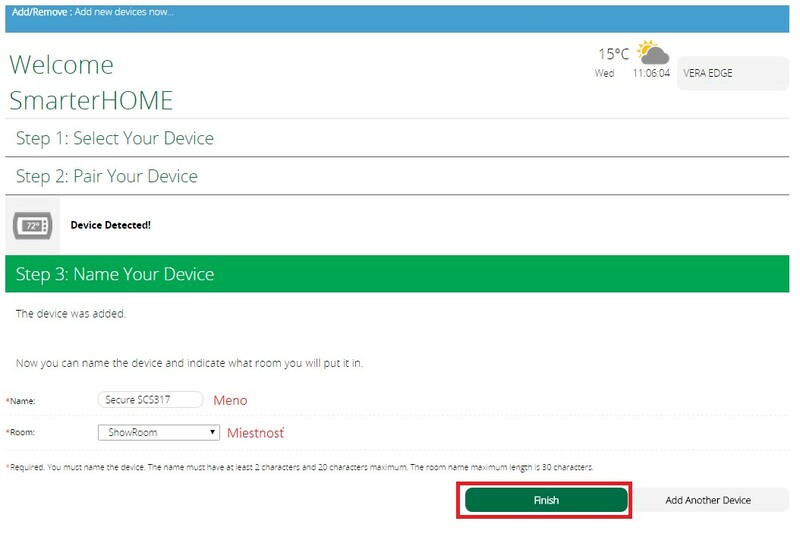 After successful inclusion you can name device (Name) and Room. 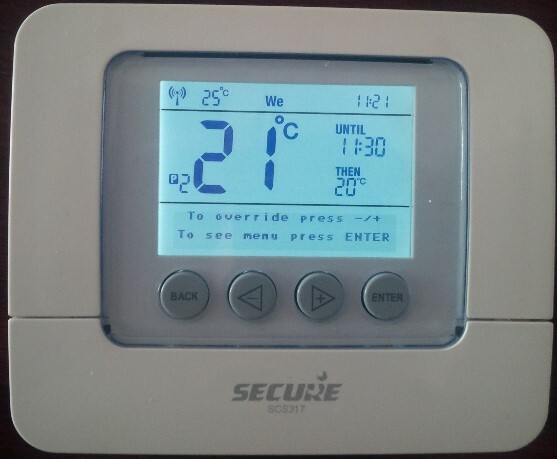 VERA uses a generic thermostat icon for the Secure SCS317 - this displays the room temperature and the setpoint temperature. It also shows a variety of other buttons - these do not work as the Secure Thermostat is just a thermostat without any switching elements. INCLUDING will appear under the INCLUDE NODE heading. RECEIVER INCLUDED will now appear in the display of the SCS317. Press BACK and the antenna iconon the top left had corner of the display will show it is active with radio waves. The SCS317 and SSR303 Receiver are now 'paired'. The Receiver should receive ON/OFF commands from the Thermostat wirelessly. Check this by turning the temperature on the SCS317 up and down to see that the SSR303 receiver responds accordingly with a green light for ON and a red light for OFF.